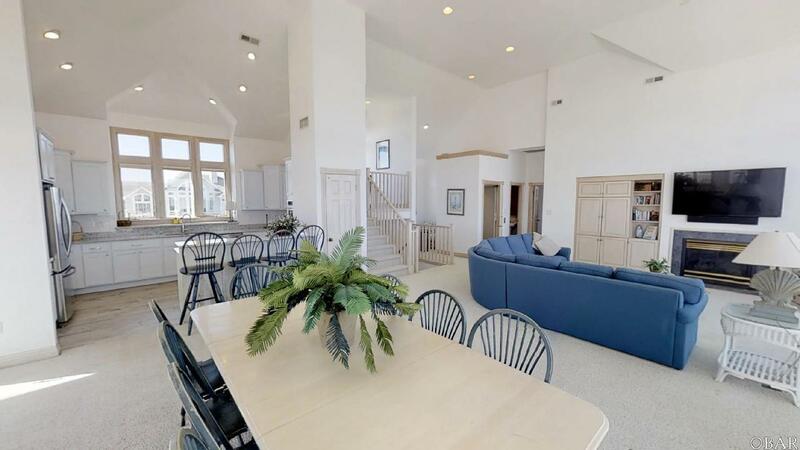 Beautiful Oceanfront Estate with OCEAN and SOUND views is nicely tucked away off a small cul-de-sac in Pine Island. 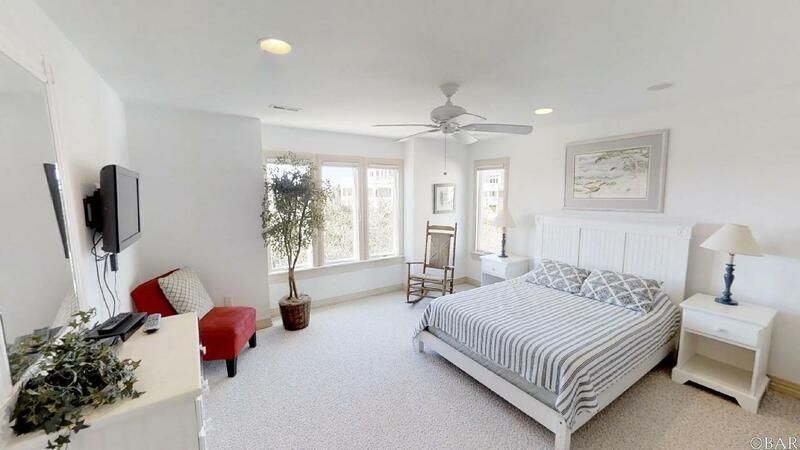 This six bedroom home was just remodeled and painted, so she is ready to go! 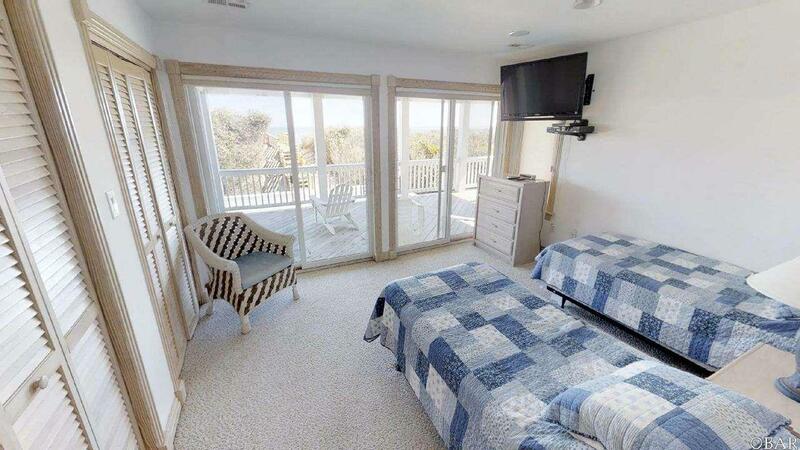 Appointed with an elevator and a dumbwaiter, makes access for everyone and everything easy. 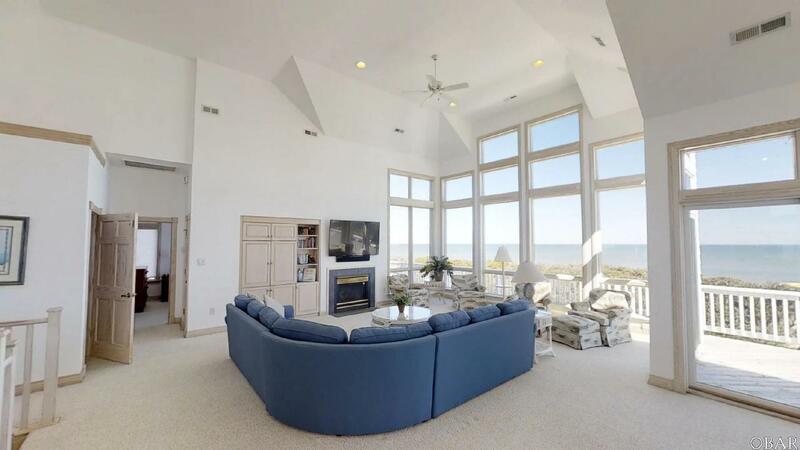 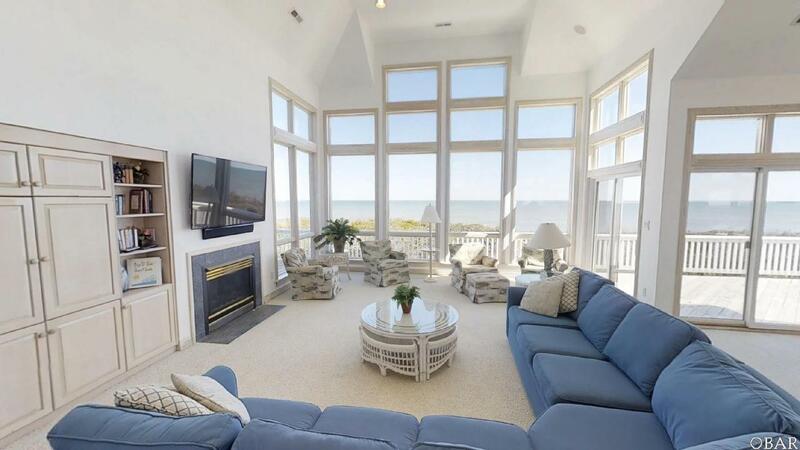 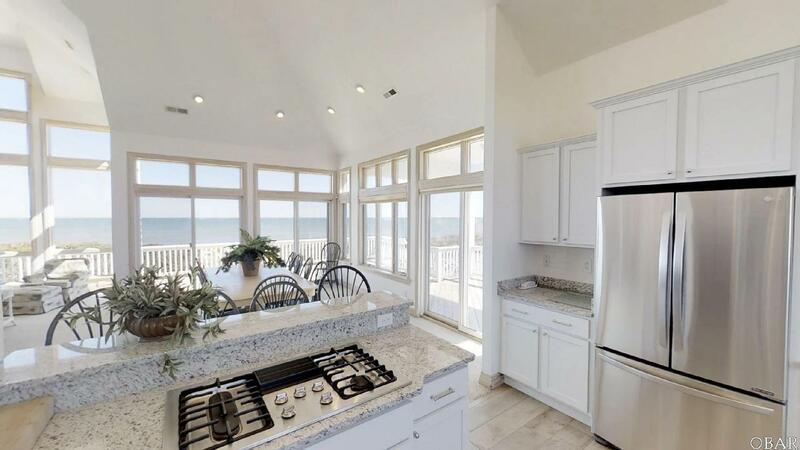 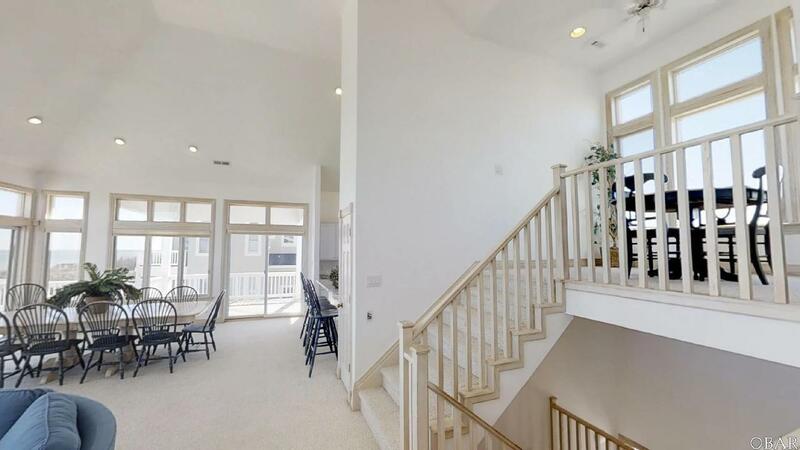 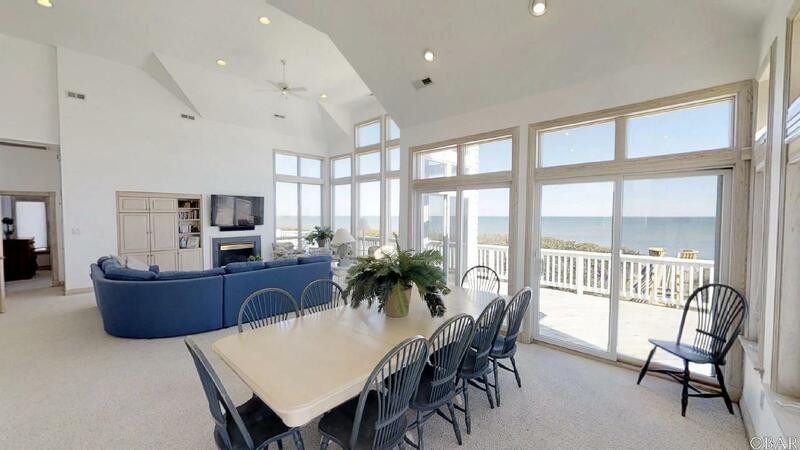 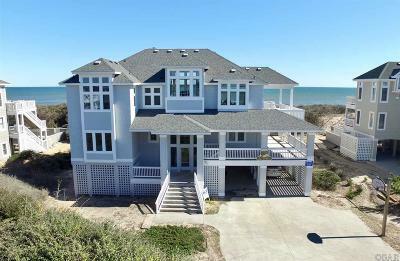 The reverse floor plan really takes advantage of the expansive Atlantic Ocean views from the kitchen, dining room, living room and top floor master. 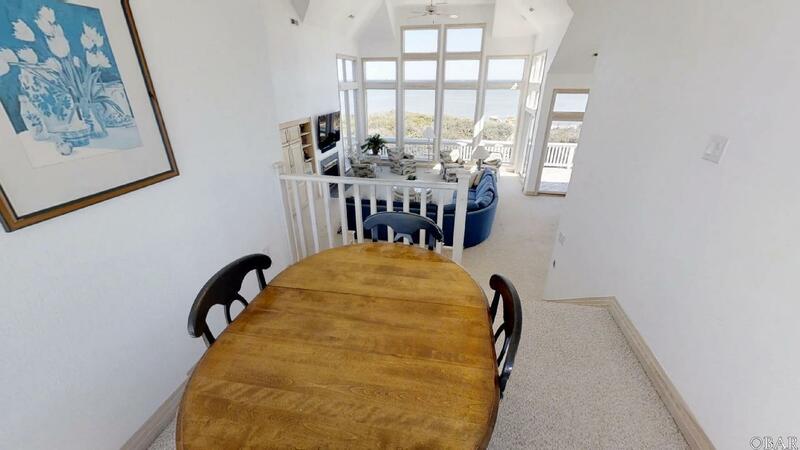 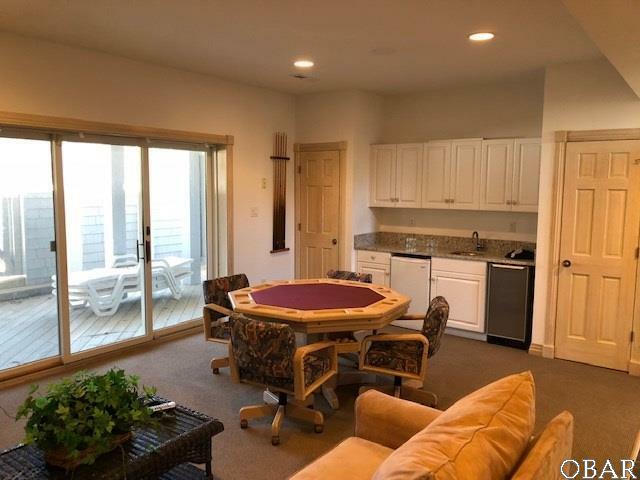 Sitting up in the ship watch to enjoy views of both the Atlantic and the Currituck Sound or enjoy either view by relaxing on any of the expansive decks. 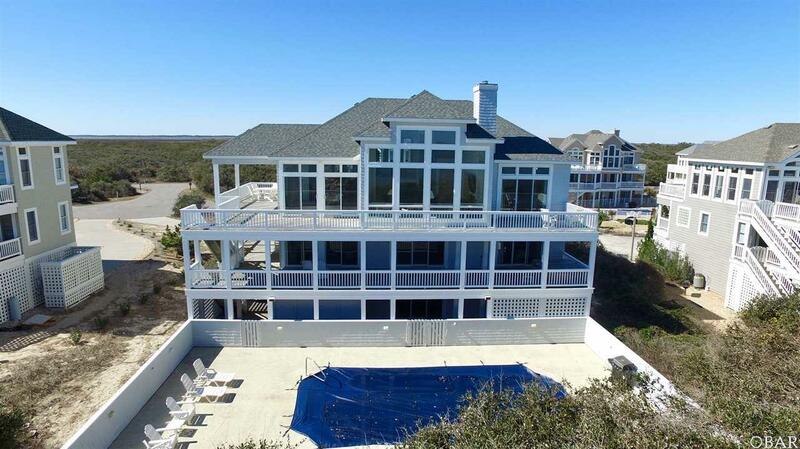 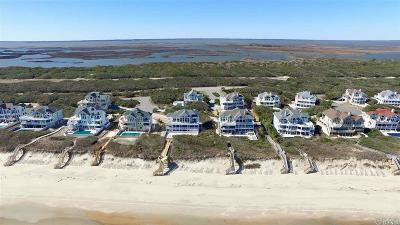 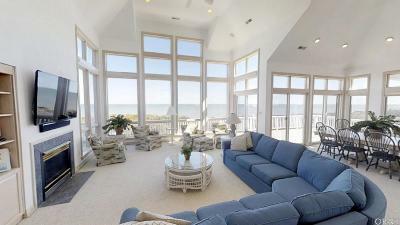 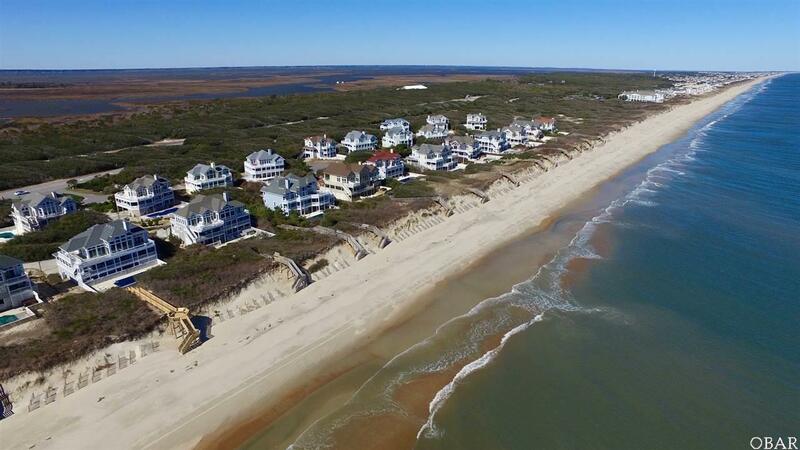 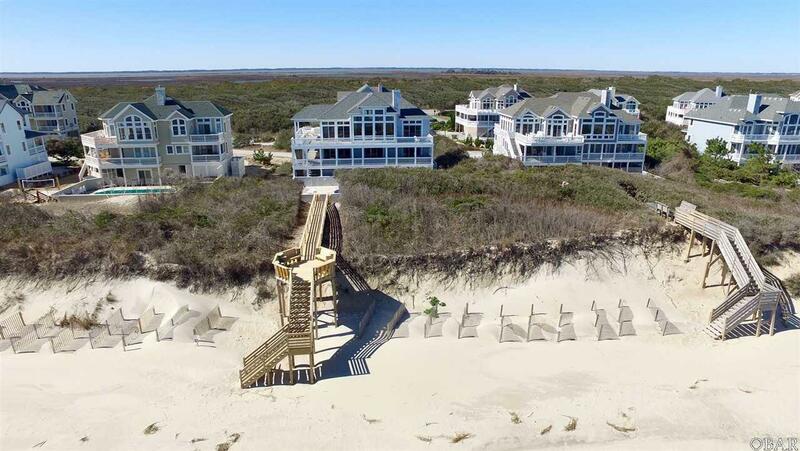 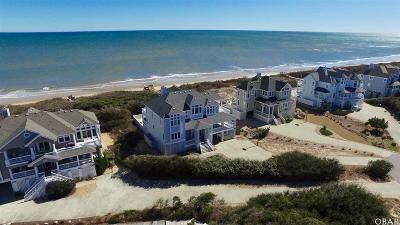 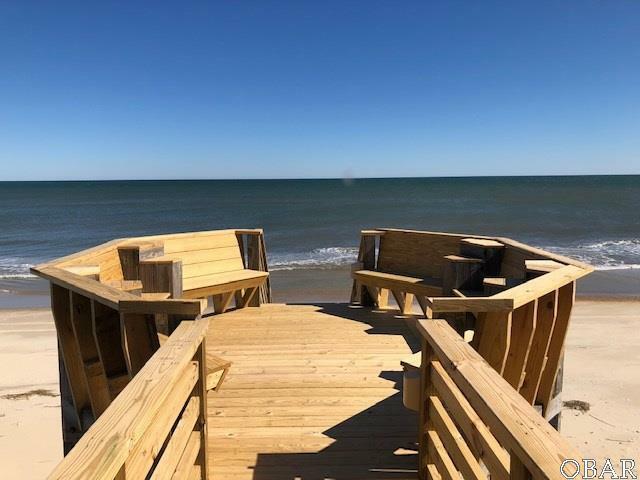 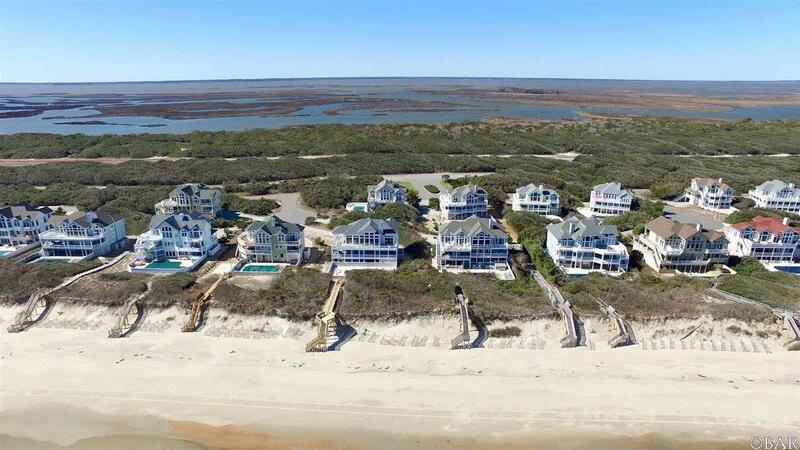 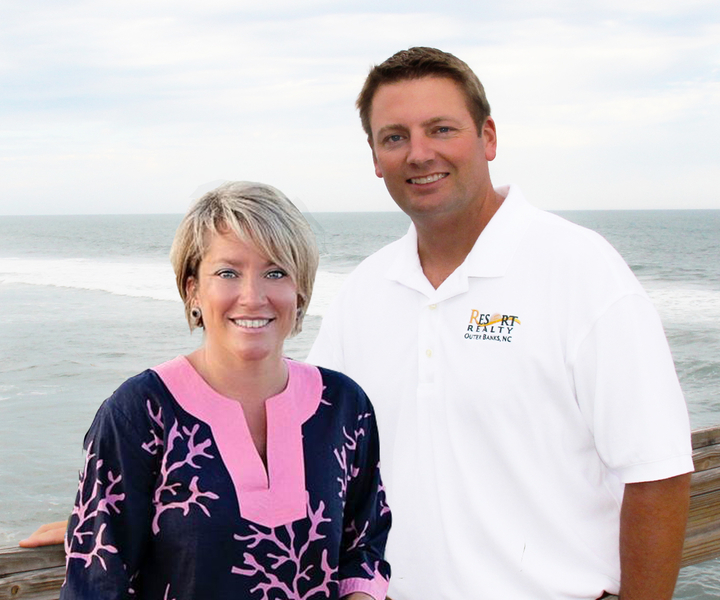 The beach is easily accessed from the private walkway or enjoy hanging out on the dune top sitting area. 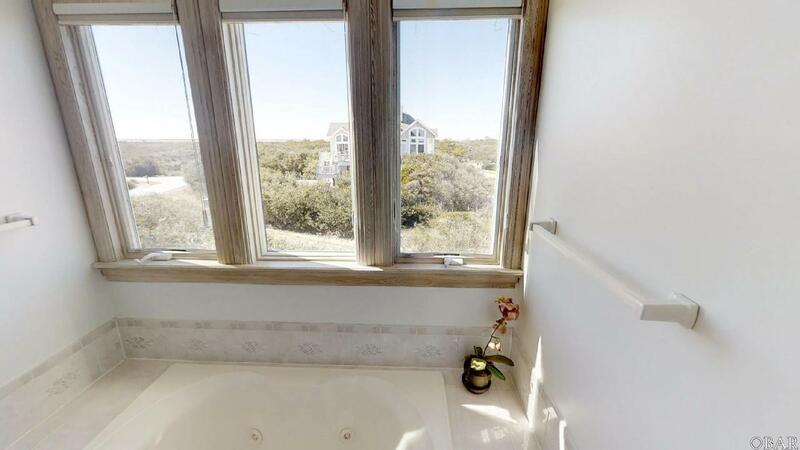 Enjoyment for all can be had in the private pool or hot tub. 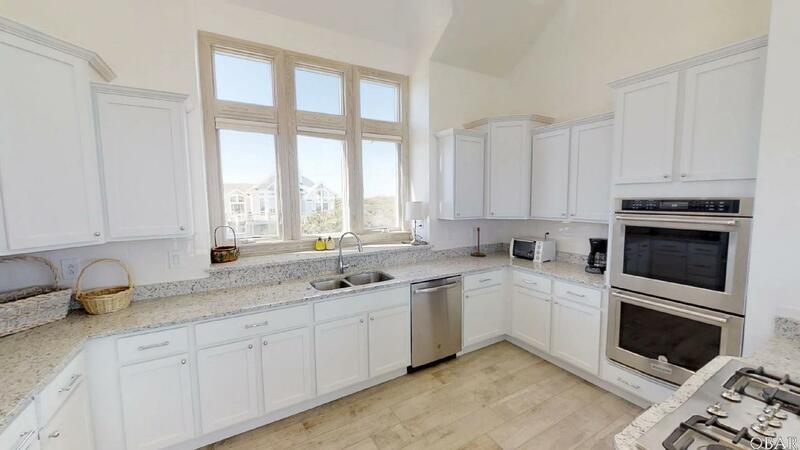 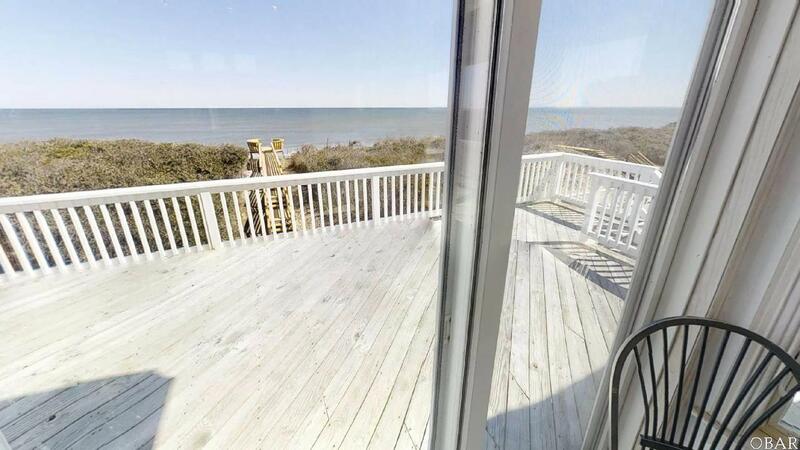 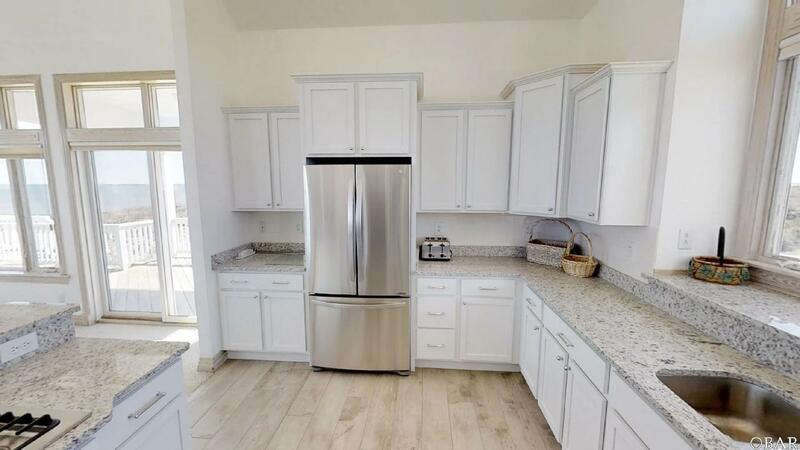 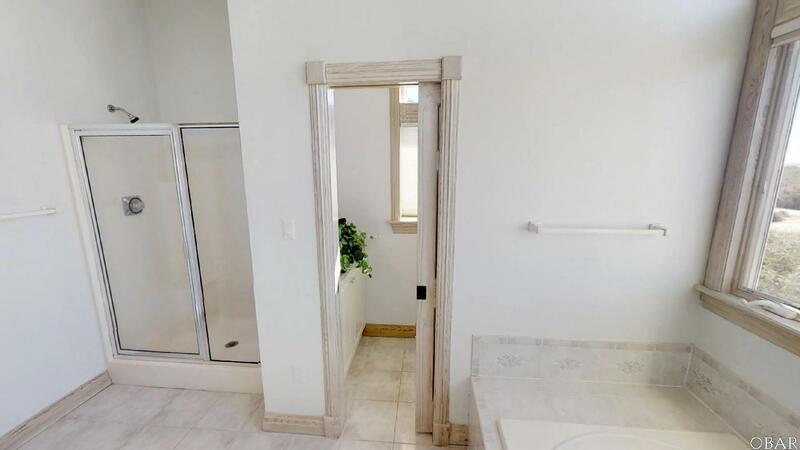 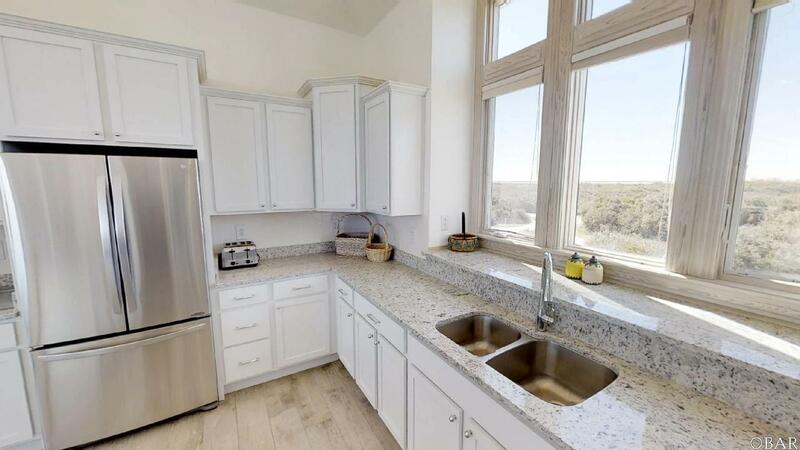 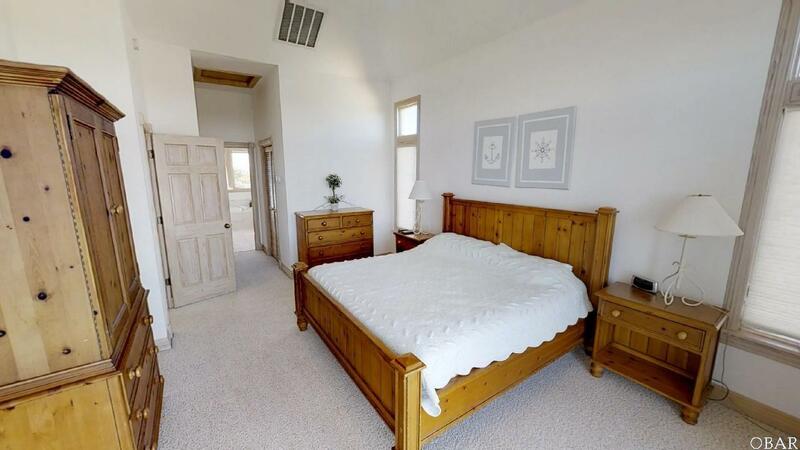 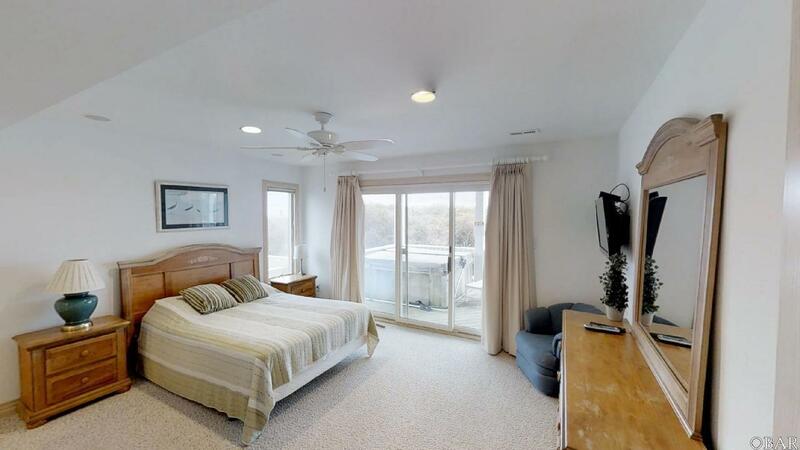 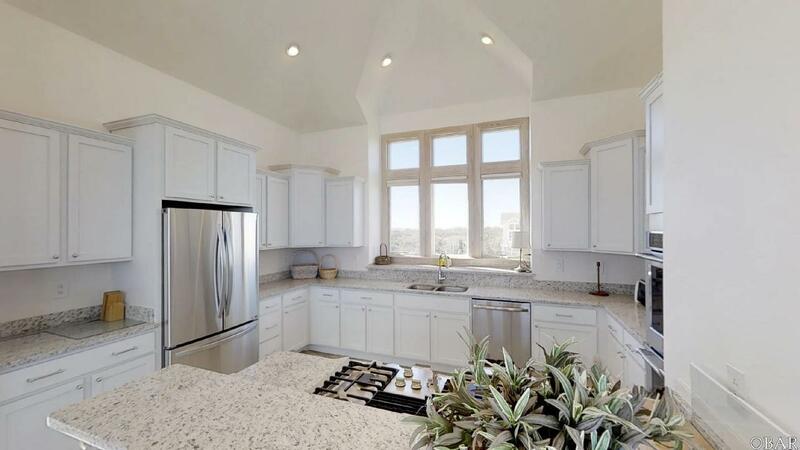 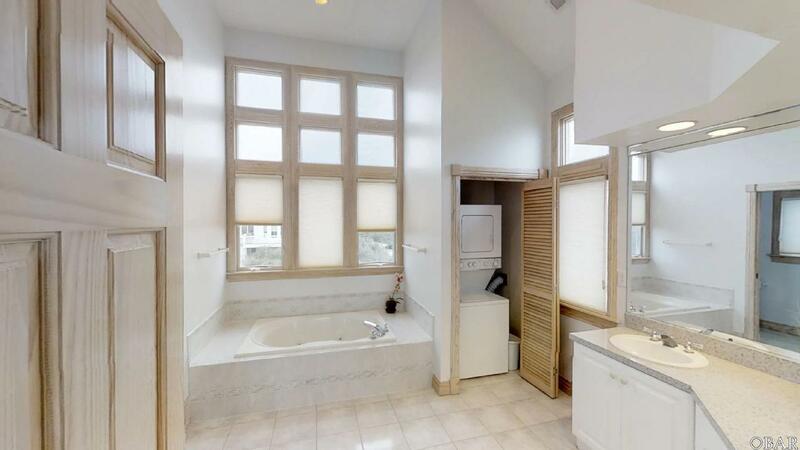 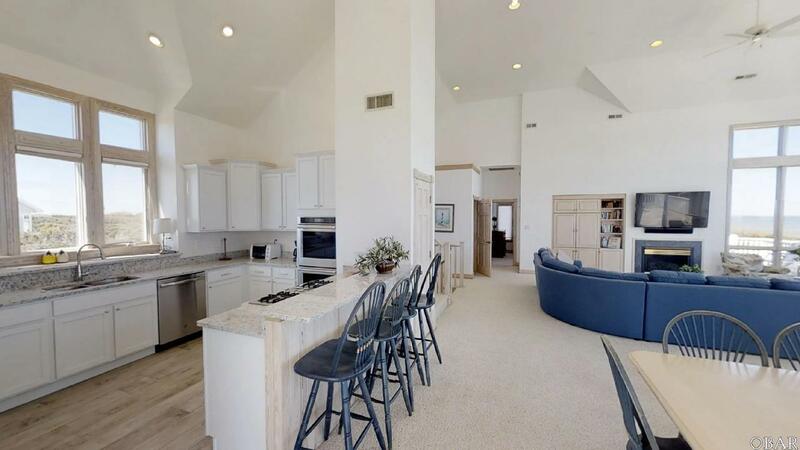 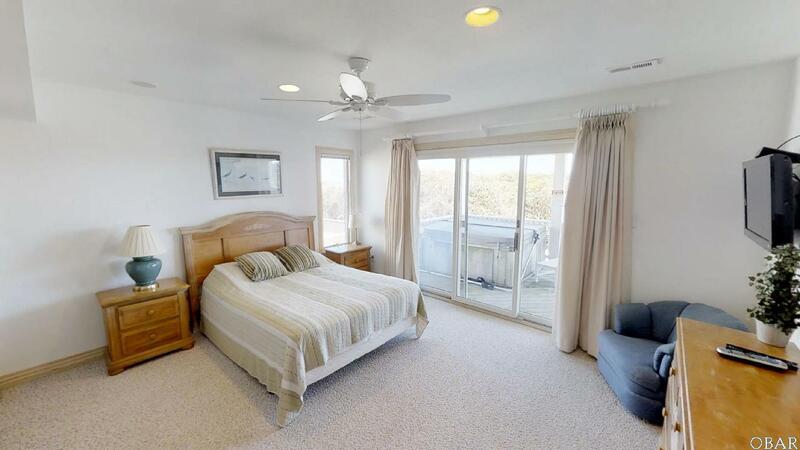 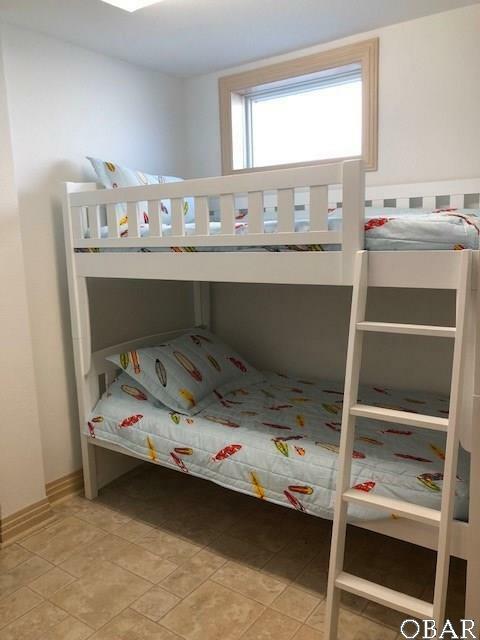 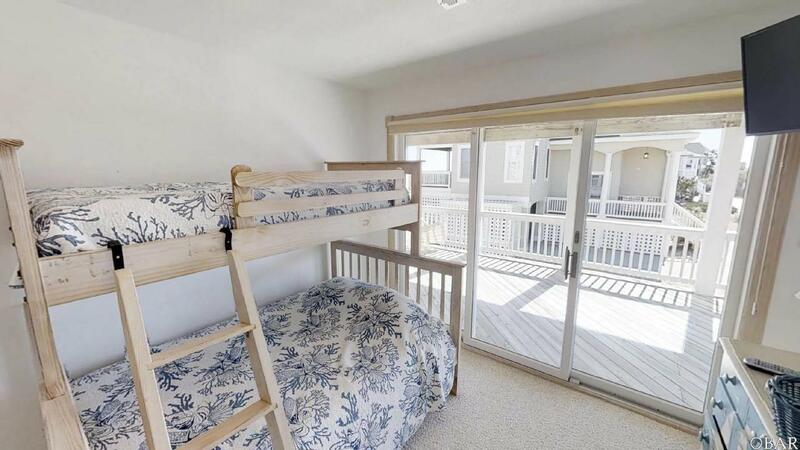 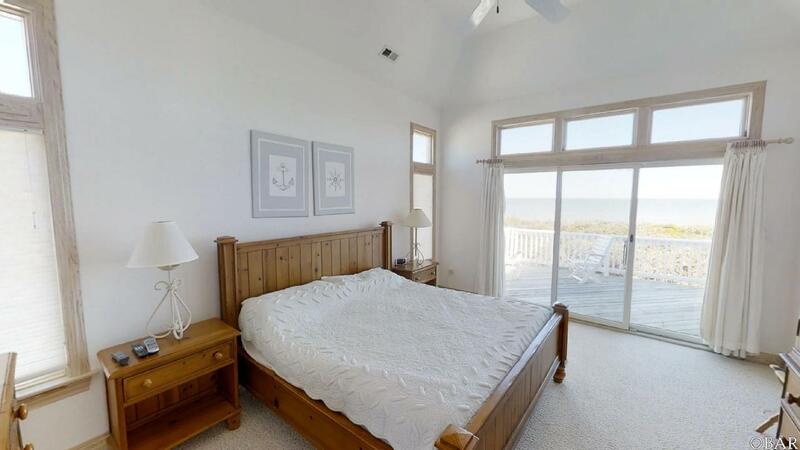 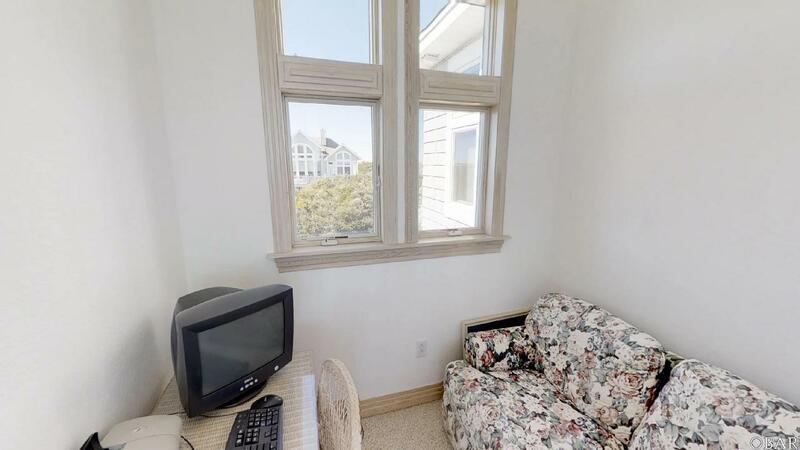 Be sure to check out the 3D tour by clicking the virtual tour link in the listing. 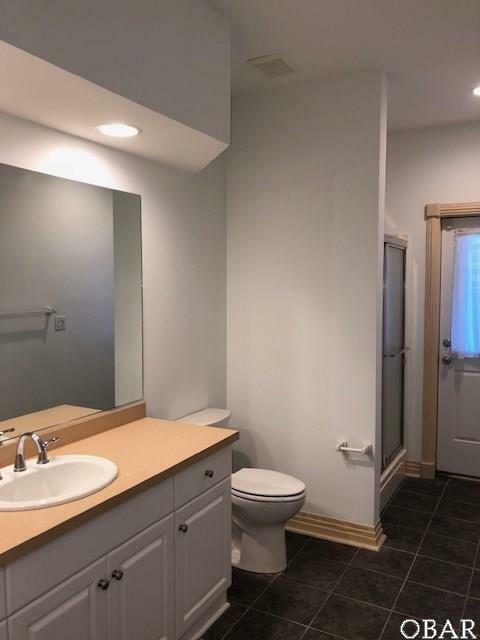 This home has always been a proven rental and should for sure improve this year with all the upgrades(OVER 128K already booked for 2019).